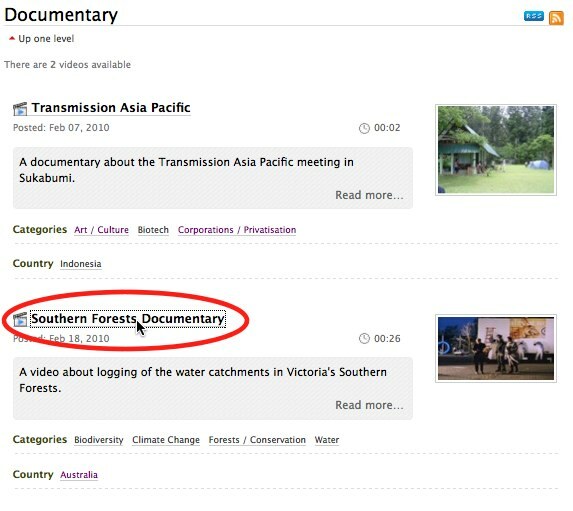 It is possible to browse videos via country, topic, genre or tag. 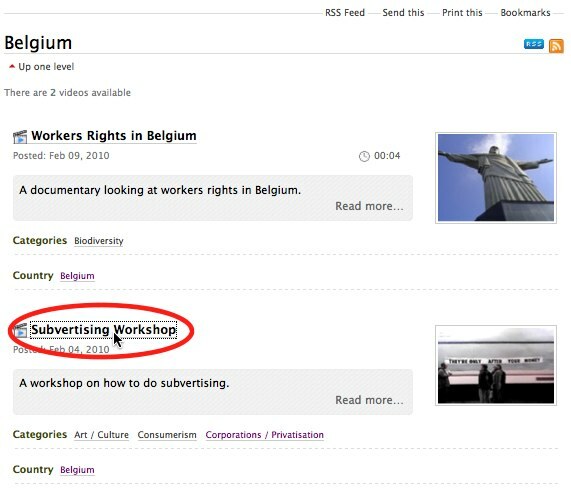 You can also browse videos via the RSS1 and RSS2 feeds (see the Video Podcasting chapter for more info). 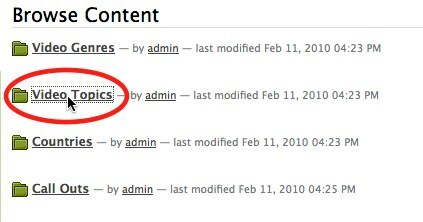 To view videos by country, topic or genre, first click the BROWSE button in the sidebar. 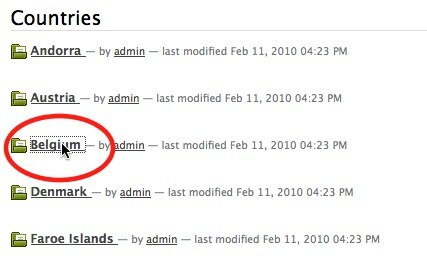 To browse by country, click the Countries folder. Click the country of choice to view all videos from that country. Choose a video from the list to watch. 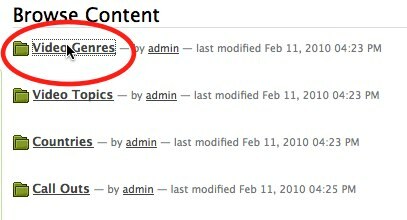 To browse by topic, click the Video Topics folder. Click the topic of choice to view all videos featuring that topic. 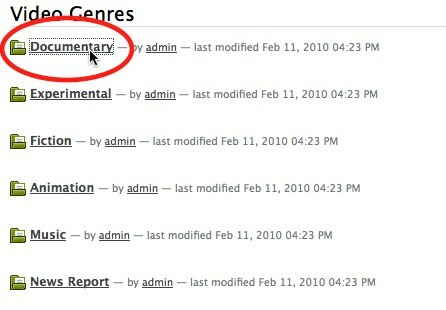 To browse by video genre, click the Video Genres folder. Click the genre of choice to view all videos of that genre. 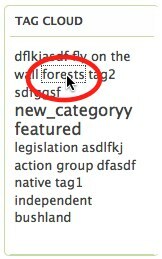 To view videos by tag, click the tag in the Tag Cloud portlet in one of the side bars.